The South Carolina Election Commission has certified three candidates for the Town of Sullivan’s Island Special Election: Keith W. Blandford, Gerald A. Kaynard, Patrick M. O’Neil. These three candidates vie for the office of mayor made vacant with the passing of Mayor Mike Perkis in October 2014. The winner will serve until May, 2017, the balance of Mayor Perkis’ term. Residents are encouraged to cast their vote in this Special Municipal Election on Tuesday, January 6, 2015. The polls will be open at Sunrise Presbyterian Church, 3222 Middle Street, from 7 a. m. to 7 p. m. For voter registration and voting information: Charleston County Board of Voter Registration at 843. 744. 8683 or online at www.charlestoncounty. org/departments/bevr/index.php. The following are candidate submitted biographies and statements from each candidate running for Mayor of Sullivan’s Island. 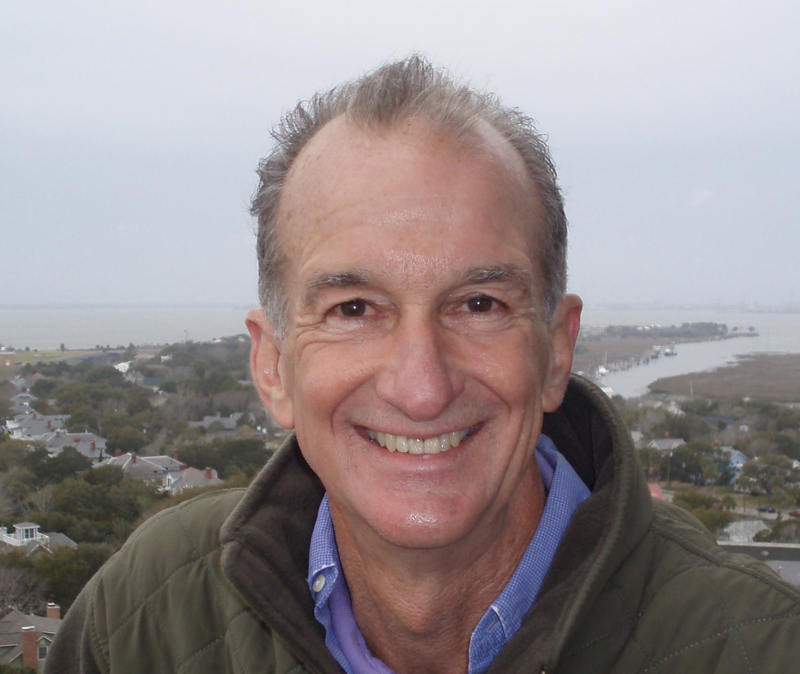 Keith Blandford is a longtime resident of Sullivan’s Island, and a tireless advocate for limited government, fiscal responsibility, and individual liberty. As a military veteran, business owner, husband and father, Keith sees clearly the effects—both intended and unintended—that current government policies are having on our economy, our community, and our families. If elected, he would work to cut municipal spending, cut taxes, and reduce the bureaucratic obstacles faced by residents of Sullivan’s Island. The message is simple: lowering taxes, to keep locals on the Island. Municipal taxes on Sullivan’s Island are extremely high per resident, per year. This financial burden is very difficult for the average household, and it’s forcing families who have been here for generations to move away. We need to take a hard look at municipal spending to see what we really need, because people are more important than government. It is important to remember that although many of us on the Island can afford multiple government services and higher and higher taxes, we are making the Island unaffordable for families who have been here long before us. Government services continue to grow on the Island, and we are finding ourselves with public employees desperately looking for something to fill their time. As a result, something as simple and as sacred as building a tree house, or adding chairs to a restaurant, requires residents to follow a lengthy, onerous, and often expensive permitting process. Residents are held to ridiculous standards when attempting to improve their property. Yet the biggest structures, environmental footprint and community impact issues are often from projects initiated by the Town itself. We need to review our municipal ordinances and services to ensure that the rules on the books are actually making life better on the Island, not just more expensive. Jerry Kaynard has lived on Sullivan’s Island for 37 years. He graduated from the University of Georgia, Phi Beta Kappa, in 1967, and received a Juris Doctor of Laws Degree from New York University School of Law in 1971. He has practiced law as a sole practitioner in Charleston for over 30 years. 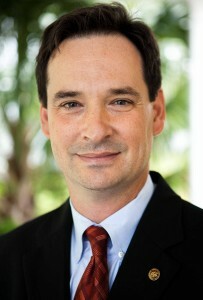 He is married to Cheryl McMurry Kaynard, JD, MPA, a graduate of USC Law School. They have two daughters, Emily and Maggie, a golden doodle, Banjo, and a cat, Hoover. He served as Assistant City Attorney, City of Charleston, from 1975-1986 gaining extensive experience in municipal government operations. He was appointed by Mayor Joseph P. Riley as liaison for The City of Charleston to the United States Department of Transportation in 1980 to obtain funding for construction of the James Island Bridge & Connector. He worked with his wife, Cheryl McMurry Kaynard, then Chief Counsel, Federal Highway Administration, US Department of Transportation to obtain approval for the James Island Bridge & Connector. This effort was successful and the project was completed in 1993 at a cost of approximately $120 million dollars. He served as Vice-chairman and a member of the Board of S. C. Department of Health and Environmental Control from 1981-1987. He was appointed as an environmental representative by Gov. Richard W. Riley. He led opposition to “Philadelphia barges” waste dumping in SC landfills. He led a successful effort to place SC inspectors at the Savannah River Plant, a federal nuclear facility in Aiken, SC, inspectors discovered aquifer groundwater contamination by toxic chemicals. He served as President of the French Quarter Neighborhood Association from 2006- 2012 a quasi-governmental neighborhood association working to protect residential uses and quality of life in the historic French Quarter of downtown Charleston. 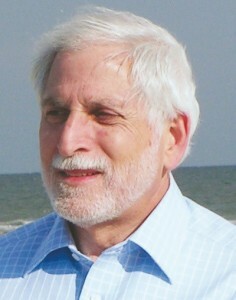 He was elected to Town Council for Sullivan’s Island in 2007 and re-elected in 2011. He is Chairman of the Administration (Personnel) Committee which has oversight over town personnel, town court, Boards and Commission appointments, administrative infrastructure, communications and outreach. He supported competitive salaries for police and fire employees, supported a new health plan for town employees; created an Outstanding Employee Award for town employees; advocated for beach access path improvements. He championed the new Sullivan’s Island Elementary School and supports Island Club community center activities and facility improvements; promotes residential character of island. He led the effort to install the Audible Alert Warning System for real-time warnings of natural disasters, hurricanes, protection of persons and property. He is co-chairman of the Finance Committee which has obtained funding for the new Town Hall. He currently serves as Chairman of the Board of Directors of Pro Bono Legal Services, Inc., which he founded in 2004. This nonprofit organization provides free legal services to low income clients who are unable to afford a lawyer. Some 500 lawyers in Charleston are pro bono volunteers. He is a former instructor at The College of Charleston and at The Citadel in Education Law. He served as Chairman of the District #20 School Board, City of Charleston, from 1975-1978 where he led the effort to begin a free breakfast program funded by the US Department of Agriculture in inner city schools. He worked to create the first magnet school at Memminger, with College of Charleston creating a new school curriculum. He currently serves as Chairman of The Sherman House, a non-profit organization which built and now manages 55 subsidized apartments for elderly residents. He has also served on the Board of Directors for Carolina Youth Development Center, Charleston Area Senior Citizens Services, Mental Health Association of Charleston, Juvenile Diabetes Foundation and Creative Spark Center for the Arts. I’ve lived on Sullivan’s Island for 37 years and I have never once considered living anywhere else. It’s hard to imagine a more beautiful location for your life to take place. I practiced law in downtown Charleston, but coming home to Sullivan’s every day is, literally, a breath of fresh air. It’s a place of calm, relaxation and beauty. I want it to stay that way. I want us, as a community, to make decisions that will preserve Sullivan’s Island as a friendly, family oriented, environmentally sensitive, residential small town. That’s why I’m running for Mayor. It’s because I believe that we can make our community even better by making resident based decisions that are good for us now and for the long term certainty of keeping Sullivan’s Island…. Sullivan’s Island. I fought hard for our new school because I knew it would attract and keep young families here and prevent our being simply a retirement community. I cochaired the Finance Committee and we found a way to borrow money to pay for Town Hall at a low interest rate and with a payback schedule avoiding a major tax impact. I support our small, active commercial district with the food options, professional services, retail goods and art that we all enjoy. I have invested in our community’s commercial district and I’m very proud that the businesses that lease from me provide service that residents value—a creative and community-minded architectural firm, a friendly gas station, a great place to work out. None has ever been controversial. We need a commercial district to be more than a bedroom community but we need to be sure it stays small and is regulated for the benefit of our residents. Living in a place this special brings challenges because everyone wants to enjoy our beautiful beaches and ocean life. The next mayor will have to lead us toward a parking solution that accommodates visitors but, more importantly, maintains the safety and health requirements for our citizens. We will have to work with the surrounding communities to ensure that no one town’s parking solution makes their neighbor’s situation worse. I am engaging the leaders of IOP and Mt. Pleasant in a regional discussion so that we can provide a viable parking plan that protects our small, beach community from the adverse impact of surrounding development, population explosion, and traffic congestion. It’s time that the town took the responsibility for the accreted land that was placed in a land trust over 20 years ago. There is no need for discord on this topic because we are so amazingly fortunate to have so much accretion that we can protect every kind of natural area and environment that anyone would wish, ranging from mature maritime forests to dunes with wildflowers. We also have to address the increasingly dangerous coyote population on the island, as so many other communities have been forced to do all over the country. I want to see improvements to the Island Club to make it an attractive, user friendly venue for residents’ events and activities. I believe we should be a helpful partner with our school supporting their goals and programs. I want to create a Council for young professionals as well as a Council for seniors to hear and benefit from their opinions and to initiate programs that they would enjoy. I want to create an Arts and Historical Commission to document, protect and promote our rich heritage. I believe we should have an archivist/administrator to manage and preserve our valuable, historical assets. So, what kind of mayor would I be? Active, engaged, inclusive, welcoming of ideas and perspective, ready to try new approaches that add to the quality of our families’ lives. I will encourage our residents to give us the benefit of their services and intellect, whether they are 6 or 96. I am not afraid of open, transparent government with open participation and constructive criticism. I will listen to every resident’s point of view with respect. I believe that government can help without being intrusive. I have 20 years of experience in municipal government where I have learned the difference. I earnestly ask for your support in my election as Mayor. Together, we can build the future of our community. Despite what you might assume from my name, I was born on the bayou, in Thibodaux, Louisiana, where I grew up in a wonderful family and close-knit community, cut grass for pocket change, earned my Eagle Scout badge, learned to play the clarinet badly and the piano even worse, and graduated in the final class to finish at our small-town boys’ Catholic high school, whose football bench I warmed consistently unless we were either hopelessly behind or irreversibly ahead. I received my BS in Economics from LSU after a succession of prior majors that didn’t work out. Neither did that one: by the time my accumulated credit hours threatened to eject me into the cold, cruel world, I discovered I was primarily interested in psychology. Fortunately, I was able to slip into the doctoral program at the University of Georgia, where I earned my PhD in clinical psychology. I came to Charleston when accepted into the MUSC psychology internship program, which had been started by my former UGA professor, Dr. John Roitzsch, who until his death was a fellow Islander, as is his wife Pam. After grad school, I joined the faculty at MUSC. Through many strokes of good luck involving present and past Islanders who are now valued friends, I became Director of the MUSC Weight Management Center, and ultimately a Professor in the Department of Psychiatry and Behavioral Sciences. My professional life has provided me with many wonderful opportunities, such as: Providing information about weight and health to the Lowcountry via my Sunday “Weighing the Choices” column in The Post & Courier for nine years. Statewide work on the SC Board of Examiners in Psychology and the SC Academy of Professional Psychologists, and national service on the Committee on Military Nutrition Research of the Institute of Medicine. 25 years’ participation and leadership in the primary North American professional obesity group, the Obesity Society, including a recent term as President. But the chance to serve my neighbors on Sullivan’s Island has been my most cherished opportunity. Since buying my first home on the Island in 1985, I have been vitally interested in how we can preserve the things that drew us here in the first place, while integrating our Island quality of life with modern times. I was appointed to the Island’s Planning Commission in 1993, and served as member and/or Chair until 2001, when I was first elected to Town Council. Since then, my neighbors have blessed me with their trust in three subsequent elections. If you ask any ten Sullivan’s Island residents why they choose to live here, you might get ten different answers. But it is highly likely that all the answers will fall under the same heading: Quality of life. Whether it’s the wonderful natural resources of ocean, marsh and creeks, or our topnotch elementary school, or our family-friendly neighborhoods, or our fine neighbors and their community spirit, or the constant reminders of the Island’s remarkable history, or the numerous opportunities for an active lifestyle, we enjoy a special place with a special feel. We each have our own touchstones that represent it to us, but whatever the marker, that feel is vitally important to all of us. This is why I got involved with serving the Town more than 20 years ago, why I serve now, and why I am asking my neighbors to allow me to serve as mayor. • We must manage growing pressures from traffic, parking and congestion, as the numbers of people visiting the Island increase. • We must protect the quiet, family-oriented residential nature of the Island. • We must retain and support a small, vibrant commercial district that meets the needs of residents, while avoiding additional disruptive overflow into the residential neighborhoods. • We must conserve the Island’s unique and valuable natural resources through continued thoughtful efforts, including implementation of a reasonable management plan for the protected accreted land, so that the Town, as owner of that property, becomes a better steward and a better neighbor. • We must continue vital infrastructure improvements including our water and sewer systems. • We must complete the cost-effective design and construction of a new Town Hall which will be a worthy addition to the Island’s built environment and which will provide a friendly, efficient venue for serving our residents. • Safeguarding the Island’s magnificent natural resources, including the longstanding, highly participatory, ongoing process of crafting a management plan for the Town’s trust protected accreted land, the preservation for public use of two marsh-side Town parcels through deed restrictions, and the current creation of nature paths at Station 16 to afford access to the great diversity of habitat in our protected coastal forest and maritime land. • Supporting the construction and improved design of the new Sullivan’s Island Elementary School. • Protecting the Island feel of our built environment, through the comprehensive revision to our zoning ordinance, a multiyear effort that included a great amount of citizen input. • Preserving the numerous historic structures that mark the Island’s character, through our first historic preservation ordinance and National Register designation of four historic districts. • Drafting the Town’s first Comprehensive Plan and the Island’s landmark ordinance that put limits on short-term vacation rentals in residential neighborhoods. My record shows that when making decisions, and leading and supporting initiatives such as the above, I consistently seek objective information, solicit resident input, deliberate in a collegial manner, strive to obtain consensus, and act for the good of the Island without concern for any self interest. With all due modesty, I think that my record shows that I am the candidate best prepared, and best suited, to lead the Island in meeting the challenges we face today and in the future. I hope you will agree with me when you cast your vote on Tuesday, January 6, 2015.